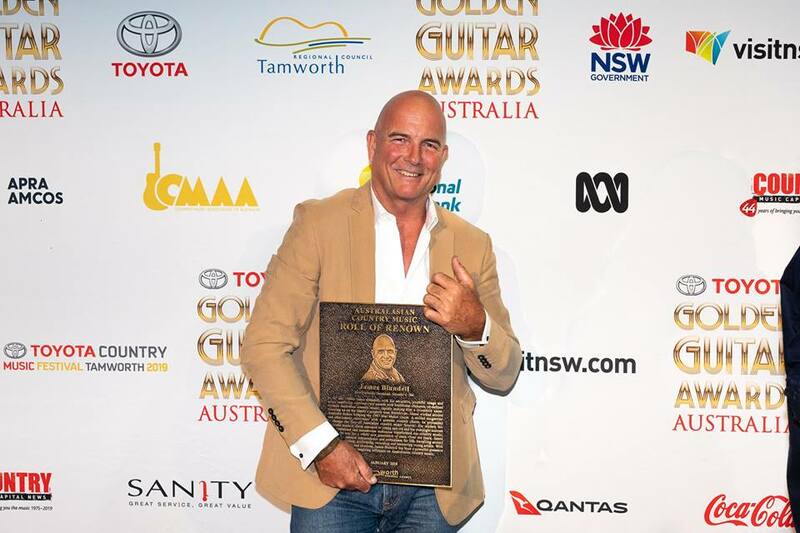 The Roll of Renown is one of the most prestigious awards in Australian country music history and returns to the Toyota Country Music Festival Tamworth in January. Inaugurated by Radio 2TM in 1976, the award honours Australians and New Zealanders who have shaped the industry by making a significant and lasting contribution to Country Music. 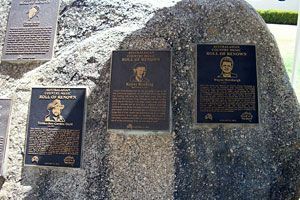 Among the forty eight previous honourees (including individuals, duos and bands) are Slim Dusty, John Williamson, Phil and Tommy Emmanuel and Lee Kernaghan who are now immortalised on the famous giant granite boulders, located outside the Tamworth Regional Entertainment and Conference Centre (TRECC). The award is determined by an independent selection panel, set up under Chairmanship of Max Ellis, one of the original founders of the Roll of Renown, the Awards and the Festival. The 2019 inductee announced at the TRECC on Saturday, January 26th 2019 during the Toyota Golden Guitar Awards was James Blundell and followed with an unveiling of the winner’s plaque at TRECC on Sunday, 27th January 2019.